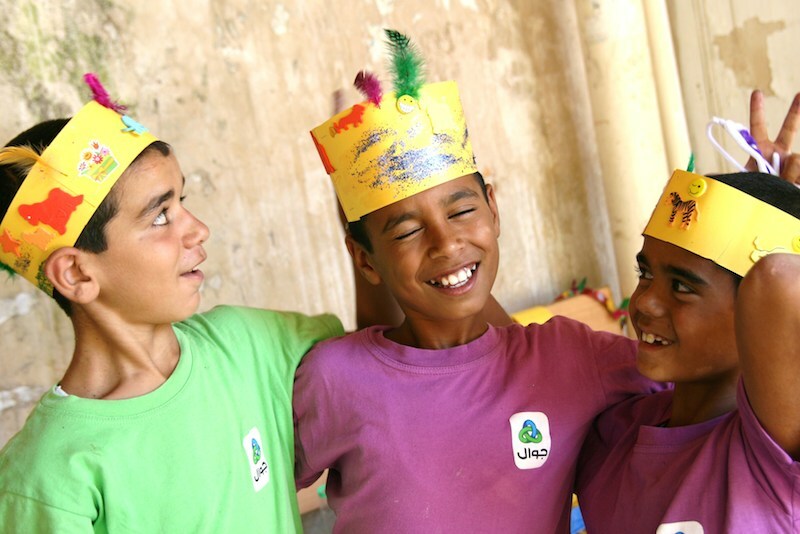 Boys in Jeel posing in their new headwear. Working at Jeel al-Amal home is fast becoming a firm favourite for volunteers. This year five volunteers worked over the four weeks. Francesca says, ‘I really enjoyed my time at Jeel al-Amal. We were able to put on fun activities and also treat the children to swimming trips away from the orphanage. We got the bus to Jericho and the children were so excited at the prospect of going out for the day that throughout the entire journey their faces were glued to the windows, absorbing the world around them. After the initial splash of all the children jumping into the pool at once, games, diving competitions and new underwater tricks ensued. The boys were in their element, playing happily and without worries – it was wonderful as most have had a difficult start in life.